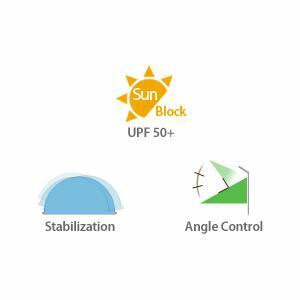 UPF 50+ Certified and effectively blocks 99% of UV rays. 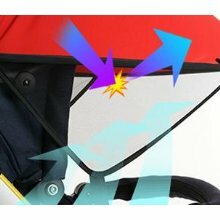 The reinforced side mesh allows for air flow and extra sun protection. 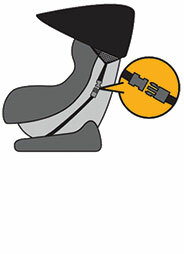 The premium spandex is soft and stretchy. 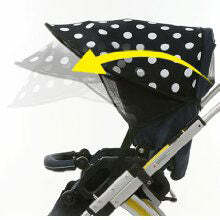 Easily pull the sun shade front and back. 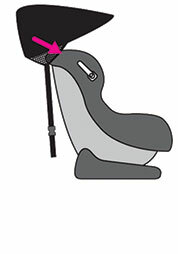 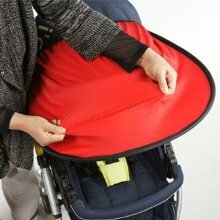 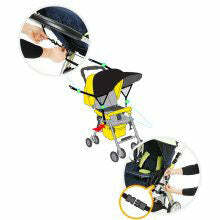 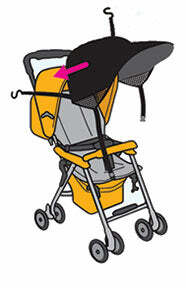 Secure with hooks and buckles to secure the sun shade. 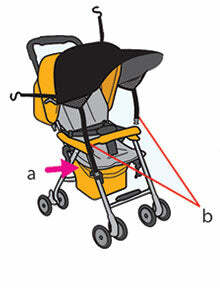 A) Pass the strap through the horizontal axis end of the strollers. 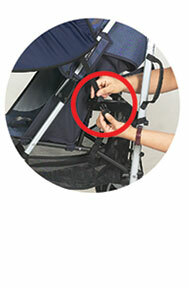 B) Adjust the length of the strings. 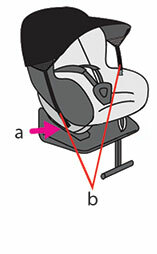 A) Pass the strap through the horizontal axis end of the car seats. 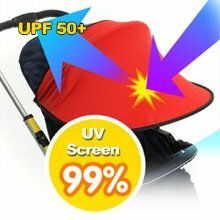 Effectively blocks UV Rays (UPF 50+ Certified) / Metal frame provides stabilization of sun shade against wind / Freely adjustable in any angles to block sun light.